Why: Because you want to improve the math education in your classroom, your school, your district, or across the state. This gathering of teachers will be a prime time to continue to learn how to effectively teach mathematics for deeper conceptual understanding. Cost for OCTM members: $150 (conference only/no housing), $200 (conference with housing), if registered by June 30; prices $50 higher if registered after July 1; no housing registration after 7/15. You must be an OCTM member to attend. Fees cover all sessions + materials needed during the conference + a link to the files from the conference. Conference with housing also includes Friday and Saturday nights lodging and 6 meals; conference without housing includes lunch and dinner Friday and Saturday and a campus parking pass. Refund policy: Cancellations made by 7/15/16 will be refunded any fees paid, less a $25.00 cancellation fee. After 7/15/16, fees will be refunded less a $50.00 cancellation fee (you MUST cancel by 7/30/16). "No Shows" and cancellations after 7/30/16 will NOT be eligible for any refund. Nancy Anderson Memorial Workshop: On Saturday, the Nancy Anderson Memorial Workshop will provide two sessions for pre-K-2 teachers focusing on models and activities to promote early number sense. Each of the 25 participants will receive a classroom set of all materials at no additional cost, including a Rekenrek (calculating frame). 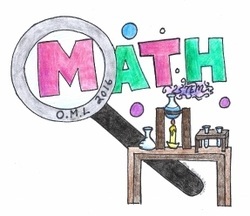 Teachers in the pre-K-2 grade band who register for OML may be enrolled in the two 90 minute sessions at no additional cost on a first come first served basis with priority in covering all regions of the state. A waiting list will be maintained. Please email registrar Jill Sumerlin at omljills@gmail.com to ensure your spot. Please include your name, school, town and grade in the email. The list will be maintained based on electronic registration date or postmark on mailed registration. Authors' Assistance Event (formerly Writers' Retreat): The 1st Annual Authors' Assistance will be held on the afternoon of Sunday, August 7, following the closing of OML. Ten applicants will be supported by OCTM as they each prepare at least three articles for The Oregon Mathematics Teacher (TOMT) magazine. Support for these authors will include reimbursement of the early registration fee for OML, a meal on Sunday, editing help from experience math writing coaches and Authors' Assistance facilitators, and, if needed, housing at Willamette U. for Sunday evening. Authors will begin work at about 2:30 on Sunday, have a working dinner, and then have the option of staying at Willamette overnight or going home at finishing time (around 8:00 p.m.). Applications were due June 1. Contact Marie Cramer with questions. Register for OML online and pay through PayPal by clicking here. You must log in as a member to register. ​To register by mail, print and send this form if you are already an OCTM member, or this form if you need to join or renew. If your registration covers multiple attendees, each must fill in a registration form. You may pay by check or purchase order if registering by mail. Please provide a contact number and name for the district business office. The university needs names of attendees as per the contract. If you are using a PO from fiscal year 2015-16, the PO and registration form(s) are due June 30, 2016. If you are using a PO from fiscal year 2016-17, send the PO and registration form(s) by June 30 to reserve your space with a note that a PO will be sent after the fiscal year starts July 1. These POs are due July 15, 2016.